Heat oven to 375°F. Lightly spray 13x9-inch (3-quart) baking dish with cooking spray. 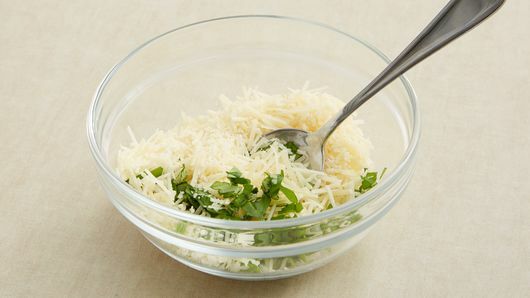 In small bowl, mix Parmesan cheese and basil until well blended. Set aside. Unroll 1 dough sheet; cut into 4 rectangles. 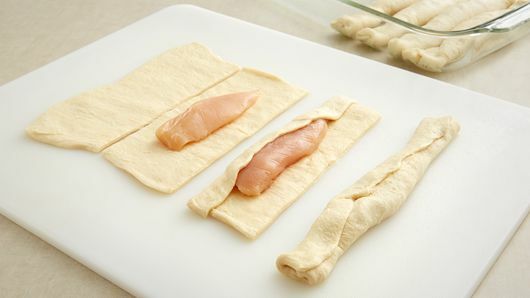 Place 1 chicken tenderloin on one long side of each dough rectangle; roll up. Pinch edges and ends to seal. Place seam-side-down in baking dish. Repeat with remaining dough sheet and chicken tenderloins. Sprinkle with Parmesan mixture. Bake 25 to 30 minutes or until golden brown and thermometer inserted in center of chicken reads 165°F. 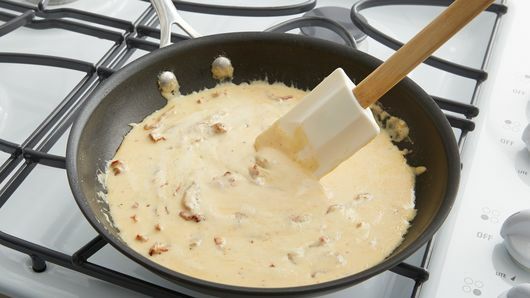 Meanwhile, in 10-inch skillet, cook whipping cream, tomatoes, salt and pepper flakes over medium-high heat 3 to 4 minutes or until slightly thickened. Cover to keep warm. Spoon warm sauce over crescent-wrapped chicken. Serve immediately. Baking this crescent-wrapped chicken without sauce ensures that the crescents and chicken are fully baked. 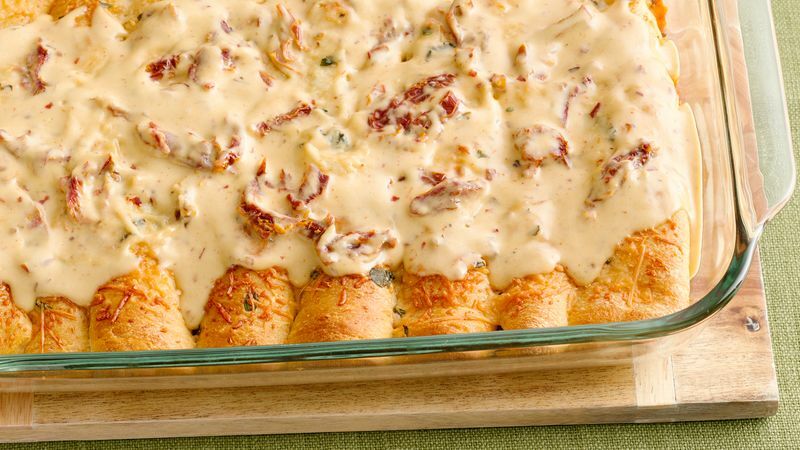 Serve with a fresh Caesar salad for a complete meal. Top with extra basil for a hit of freshness.